We provide premium quality Designer Jackets to clients at budget friendly market prices n an array of specifications such as color, size and style. These jackets look ultra stylish and trendy. 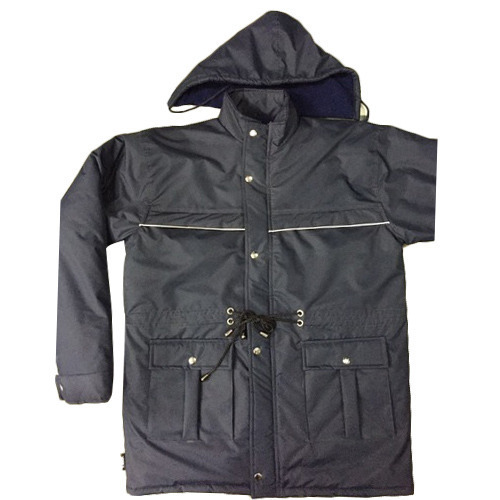 Established in the year 2010 at Delhi, we, Goel Apparels, are a highly acclaimed Manufacturer, Trader and Wholesaler of premium quality Mens Jackets, Ladies Jackets, Lowers, Rain wear and many more. These are manufactured in compliance with industrial standards of quality by making use of premium quality raw materials at our ultramodern production facility. The products offered by us are highly acclaimed for their unmatched fabric comfort, superb fabric longevity, stylish fabric designs and easier fabric upkeep. These are available to clients in various stylish designs, sizes, colors and shapes at budget friendly prices. These products are suitable for hand wash as well as machine wash and are renowned for their economical pricing. Our products undergo thorough quality checks to ensure that clients get only flawless and defect free products from us on a consistent basis. The fulfilment of the requirements of our clients is or most important priority, towards which our professionals earnestly strive.